The 'ShipCraft' series provides in-depth information about building and modifying model kits of famous warship types. Lavishly illustrated, each book takes the modeler through a brief history of the subject class, highlighting differences between sisterships and changes in their appearance over their careers. This includes paint schemes and camouflage, featuring color profiles and highly-detailed line drawings and scale plans. The modeling section reviews the strengths and weaknesses of available kits, lists commercial accessory sets for super-detailing of the ships, and provides hints on modifying and improving the basic kit. This is followed by an extensive photographic survey of selected high-quality models in a variety of scales, and the book concludes with a section on research references - books, monographs, large-scale plans and relevant websites. The two ships covered in this volume were the only capital ships designed and built between the wars - a special concession of the Washington Treaty’s ban on new battleships - and they were unlike anything before them, with the superstructure three-quarters aft and all main armament turrets forward of the bridge. During the war Nelson survived mine and torpedo damage, while Rodney played a major part in the destruction of the Bismarck, both surviving to be broken up post-war. 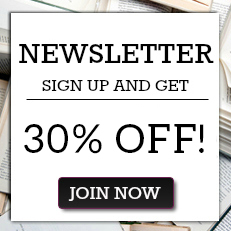 Les Brown is an author and maritime historian. Robert Brown is a Canadian ship modeller and warship enthusiast. 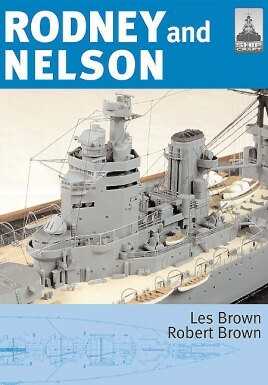 His previous contributions to the ShipCraft series were the models sections of No 22 German Battlecruisers and the historical chapters of No 23 Rodney & Nelson.